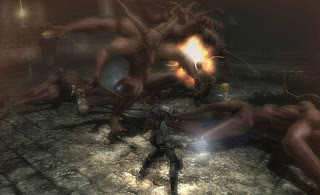 Wizardry Online is a new chapter in the popular Wizardry series. For those who don’t know, the Sir Tech series set some standards that are still used in current RPGs, such as experience points and hit points for enemies. Now, Wizardry Online brings one major feature with its exciting combat and diverse monsters - permadeath. Not unlike the popular RPGs Demon’s Souls and Dark Souls, Wizardry Online is a challenging game and one that will test your skills and intelligence to the max. Choose from one of five races and explore several dungeons with dozens of floors filled with enemies and loot.